Women affected by serious side effects after using Essure birth control testified at a day-long public meeting of the Food and Drug Administration's Obstetrics and Gynecology Devices panel on Thursday. A group of approximately 60 Essure patients attended the meeting and hope to convince the panel that the birth control device is unsafe and ineffective. Northeast Ohio resident Kim Hudak told the panel she experienced severe pain and debilitating fatigue after she participated in a clinical trial for the device. Hudak said her symptoms improved or disappeared after she had a hysterectomy to remove the device in 2013. Other women described similar symptoms to panel members, as well as severe bloating and bleeding. 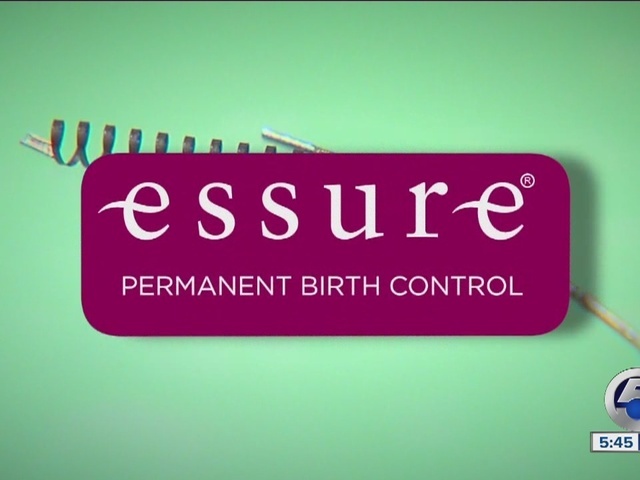 Essure is marketed as a permanent birth control without surgery. Metal coils are inserted into a woman's fallopian tubes and scar tissue forms to block conception. The FDA says more than 5,000 adverse event reports have been filed with the FDA about the device since it was approved by the agency in 2002.
newsnet5.com has been covering the stories of women who say they were seriously injured and harmed by the device for two years. In June, the FDA acknowledged some of the serious risks associated with the Essure, including unintended pregnancy, ectopic pregnancy, pelvic pain, and rash and itching due to possible nickel allergy. The FDA also said the metal coils can cut through the fallopian tubes or uterus and migrate into the lower abdomen and pelvis. Essure's manufacturer, Bayer, and the FDA will give a presentation about the device during the meeting. Bayer has consistently defended the device and said it stands behind its safety and efficacy.